DELISTED Magpie Jarryd Blair believes he still has plenty to offer at the highest level and the former Collingwood forward will go anywhere in the AFL to achieve it. The 2010 premiership forward, who was an emergency for this year's Grand Final loss to West Coast, was cut by the Pies on Tuesday after nine seasons and 161 games, but he is on the lookout for a new home after playing just two AFL games in 2018. Runner-up in the Magpies' VFL best and fairest this year, the 28-year-old said on Wednesday that he's ready to go if a club takes a chance on him. They told me they wanted one of the younger boys in for forward pressure, which surprised me a little bit. 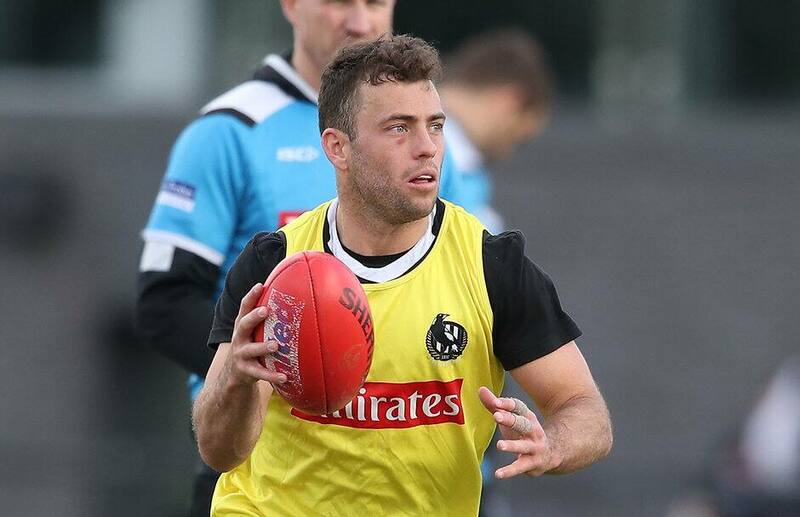 "I still feel I have the ability to play AFL football, so just a spot on a list somewhere so I can work my way through the 'twos' and hopefully provide something at AFL level," Blair said on SEN radio station. "I couldn't say I was blindsided by (my delisting) because I only played two games this year (despite) my body being good, and I felt like I was performing OK - not that it made it any easier. "I'm not sure what's next as I'm still working through a few things and still hopeful of landing (at another club)." Renowned for his forward pressure, Blair admitted he was surprised for the reasons he was given for the lack of opportunities in 2018. "I was only in the side for two games, then out, because (Daniel Wells) was fit at the time and coming back, and they told me they wanted one of the younger boys in for forward pressure, which surprised me a little bit," Blair said. "I spent the pre-season training with the mids, so I was hoping to get a bit of a run through the midfield, but that's the game. "We're playing the footy (mid-season) we ended up playing at the back end of the season, so the club was still looking for the best 22. "I understand how that works, but it didn't make it any less frustrating."